After releasing a new trailer just yesterday, a new featurette is now available for The Host. Some new footage is revealed along with commentary from author Stephenie Meyer and star Max Irons. The Host stars Saoirse Ronan as Melanie Stryder, one of the last remaining humans on Earth after a race of parasitic aliens have taken over most of the world. Melanie is unique in that she forms a bond with her parasite and sets out to free other humans, if they’ll accept her as one of them. 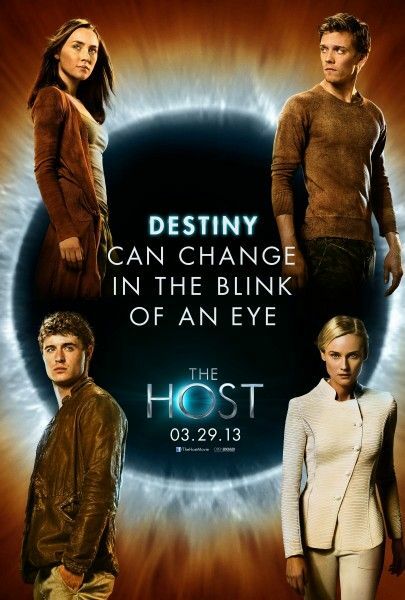 Also starring Jake Abel, Diane Kruger, William Hurt and Boyd Holbrook, The Host opens on March 29th. Hit the jump to watch the featurette. THE HOST is a riveting story about the survival of love and the human spirit in a time of war. Our world has been invaded by an unseen enemy. Humans become hosts for these invaders, their minds taken over while their bodies remain intact. Most of humanity has succumbed.